VirtualBox 5.2.8 Portable ~ Apps2Portable | Free Portable Apps for PC ! 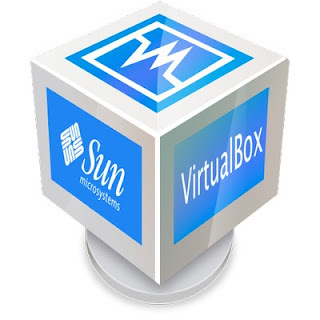 VirtualBox is a general-purpose full virtualizer for hardware. Targeted at server, desktop and embedded use, it is now the only professional quality virtualization solution that is also Open Source Software. VirtualBox is a powerful virtualization product for enterprise as well as home use. VirtualBox provides are useful for several scenarios: Running multiple operating systems simultaneously. VirtualBox allows you to run more than one operating system at a time. This way, you can run software written for one operating system on another (for example, Windows software on Linux or a Mac) without having to reboot to use it. Since you can conﬁgure what kinds of “virtual” hardware should be presented to each such operating system, you can install an old operating system such as DOS or OS/2 even if your real computer’s hardware is no longer supported by that operating system. Infrastructure consolidation. Virtualization can signiﬁcantly reduce hardware and electricity costs. Most of the time, computers today only use a fraction of their potential power and run with low average system loads. A lot of hardware resources as well as electricity is thereby wasted. So, instead of running many such physical computers that are only partially used, one can pack many virtual machines onto a few powerful hosts and balance the loads between them.